For those of you who missed this show by Yu Hong and Chieh Hong, check out this video interview of one of the artists here. This new show by Amy, Eva Lo and Lizzy Chiu opens tomorrow so please come down and check it out! Details here. Red Room presents the twelfth of our Sunday Afternoon Open Studio series!! Writers, poets, photographers, painters, sculptors, comedians, filmmakers, juggler, musicians, songwriters, dancers, designers. All artists and creatives welcome! Develop and play with ideas, utilize this opportunity for second opinions on your work in progress. Limited spots available, please apply before June 16th. Registration and prebooking required. Book at this link. Red Room will be starting critique sessions again for the July Open Studios and we need you all to get involved! Bring your work and get the group feedback that you need, and also share your ideas with your peers. The Open Studios are about artists coming together to share ideas and even share skills. So if you have a special skill you feel like sharing with everyone (eg printmaking, book binding, life drawing, knitting etc), please email us to let us know! https://redroomtaipei.com/wp-content/uploads/2017/06/we-need-you-2.jpg 600 800 Roma Mehta http://redroomtaipei.com/wp-content/uploads/2017/05/RR-logo-2017-500x122px.png Roma Mehta2017-06-12 18:36:192017-06-12 18:42:23Hello Red Room Artists! Red Room presents the tenth of our Sunday Afternoon Open Studio series!! Writers, poets, photographers, painters, sculptors, comedians, filmmakers, juggler, musicians, songwriters, dancers, designers. All artists and creatives welcome! Develop and play with ideas, or utilize this opportunity for second opinions on your work in progresses. ATTENTION: crocheters, knitters, sewers, weavers, and all DIY/crafting extraordinaire! ALL AGES WELCOME: Younger children can do braiding and with a parent’s assistance, can be easily involved in the process. 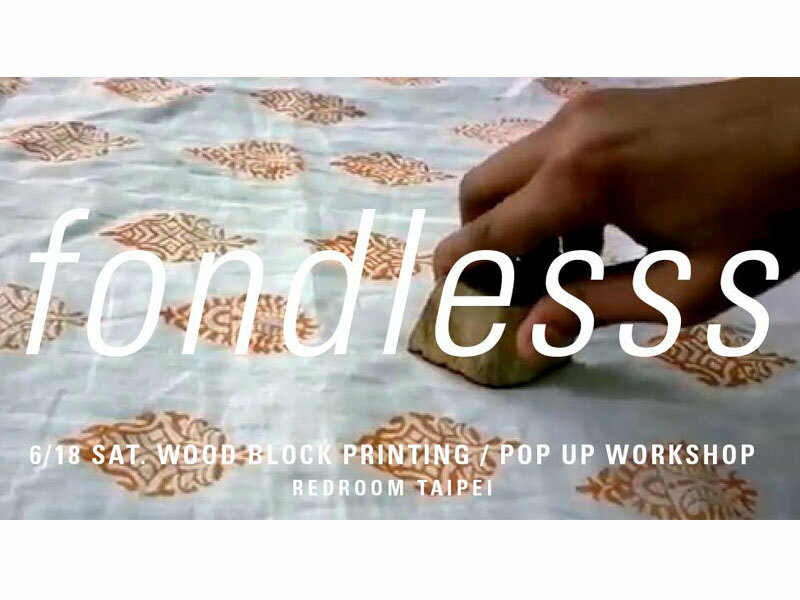 Red Room currently has a supply of fabrics and as an upcycling initiative One Brown Planet will be running a series of DIY sessions to make rag rugs from them to donate to the homeless people of Taipei. These sessions will be run concurrently with the Open Studio at the Red Room. Share your skills with everyone in these sessions. We are open to all suggestions of the best method of making a Rag Rug, and also other ideas of upcycling scrap materials. Even if you don’t know how to sew/crochet/weave/braid, come join us anyway and learn from your new friends! Then take home these valuable skills to upcycle your old sheets and t-shirt to make them into something else you can use in your own home. BYO: crochet hooks, knitting needles, sewing needles, scissors, whatever your choice of tools! If you won’t be working on something and just want to hangout, please feel free! But we would like to remind you to respect those practicing/working on their art form. This is a free event – for you, by you. Which means that the bar and cash register will be closed – so please bring some beverages and snacks to share. Sharing is caring! 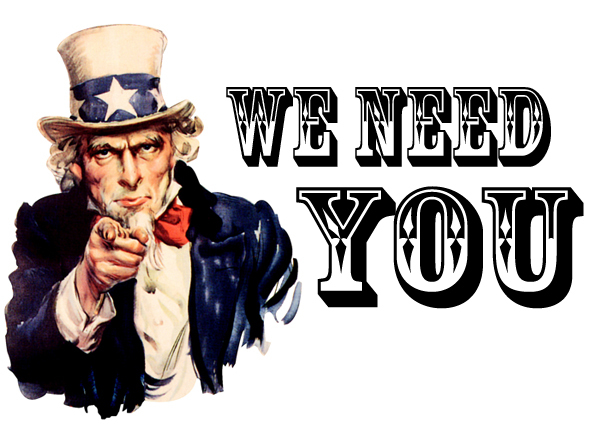 Please inbox us to ask if you are uncertain about how appropriate the art form/materials you’d be bringing would be suitable for the shared space. Of course, power tools are discouraged (safety + noise), and fire is not allowed on the premises (sorry, metal-workers!). Our entrance is located on the intersection of Jianguo S. Rd. and Jinan Rd. (TAF side entrance). After passing the gate, keep marching forward and you’ll see a white building to your left called Library. Make your way to the second floor via the outer staircase on the side. Travel by MRT:［Zhongxiao Xinsheng Station Exit 6］Walk straight along XinSheng S. Road , then turn left on Jinan Road Sec. 2 , continue down and you’ll spot the entrance. Red Room presents the second of our Sunday Afternoon Open Studio series!! The flow of everyone working simultaneously in community spirit weaves beautifully, and we’d like for you to bring anything you’re working on and share in the Red Room space to create together! Writers, poets, photographers, painters, sculptors, comedians, filmmakers, juggler, musicians, song-writers, dancers, designers. All artists and creatives welcome! Develop and play with ideas, or utilize this opportunity for second opinions on your work in progresses. We will have a PRE-LOVED table set up. People can bring their still-good but cease-to-be-necessary items to donate for members of the community to treasure hunt through (Clothing not accepted, household items only). We want to foster a culture valuing sustainability. Pricing is by donation, and proceeds go to support Red Room. Sundays at the Red Room is intended to be open studio time for Red Roomers. Red Roomers may start new long-term or short-term projects affiliated with the Red Room or just use the space for creativity and expression. It is an open day for the community to come hang out with each other and spark their creative juices. Together they can play music, dance, paint, do yoga, even have a writer’s café! There’s no charge for this event, unless you need paint. The PRELOVED table will also be open for shopping and preloved donations. Red Room cannot accept shoes, clothes or bedding. 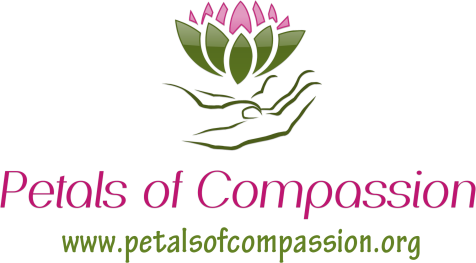 Petals of Compassion is reaching out to the community with an Interactive Compassion Workshop! Families, couples, children and you are welcome! 3. 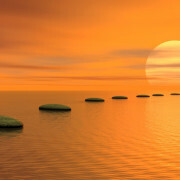 Meditation/ Visualization to increase compassion awarness and personal creativity. 4. Painting, Poetry and Live Music! The goal of this workshop is to spread compassion to our own hearts and then use this amazing feeling to paint a picture or write some poetry to express it in words. All paintings are subject to go up for auction at the Petals of Compassion Final Auction Event to raise money to rebuild a village in Nepal. After the workshop is over all that is involved will be great examples of Compassion in Action! Join us and excersize your Compassion Muscles! Children under 15 years must be accompanied by an adult. The fee pays for the painting materials and snacks! What a great deal for a afternoon of compassion! Walk straight along XinSheng S. Road , then turn left on Jinan Road Sec.2 , continue down and you’ll spot the entrance! RSVP Recommended. Please register here. 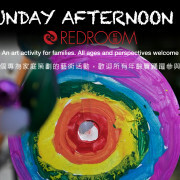 On the fourth Sunday of each month from 2pm to 5pm, Red Room International Village will host an art activity for families. The enjoyment and creation of art are the focus. In these activities, everyone is an artist, and is encouraged to share and create. All ages and perspectives are welcome. 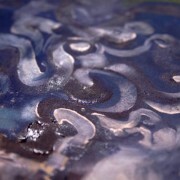 In traditional art classes, technique and knowledge of medium are the first classes. SUNDAY AFTERNOON AT THE RED ROOM will be different. We will explore the medium as we use it and everyone is encouraged to participate. Families are often so busy during the school/work week that they do not have a chance to play together. 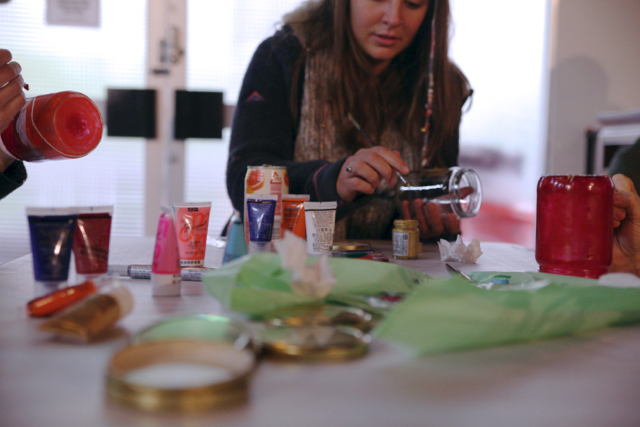 This is for families and individuals who want to share an afternoon in happy creativity. 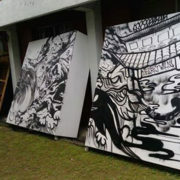 The fee for the afternoon, including art supplies and facilitation is $500NTD per family* and $200NTD per individual**. Art works will be for the Red Room and/or something that you may take home on the day. This event has been rescheduled. Dates TBA. Sometimes we need to just roll around on the floor. A modern Dancer and choreographer/Yoga teacher/Tai Chi Master will lead us in an afternoon of movement. The families will then use the inspiration from the class to create gesture drawings using charcoal and gesso. Pre-registration is recommended so that we can prepare the materials you will be using. Please fill in the form provided on the link below. Technology is very important in contemporary life and contemporary art. The participants will need to bring digital cameras and cellphones, to go on a visual treasure hunt of Red Room and the surrounding grounds. A discussion of the history of the repurposed buildings and the ways that cities change; will help determine the visual documentation of TAF. Photographs will then be downloaded and printed. The group will curate a show of the artwork, to hang in the Red Room Gallery. Red Room is in a new venue, the International Village at the TAF. To set the mood for Red Room Stage Time and Juice, we will create a banner/backdrop. 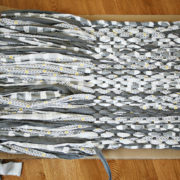 It will be 3m x 1.5m. Start to think about images and sounds that make you think of Stage Time and Juice. We will be painting using acrylic paints that are non-toxic. Please wear play clothes, or bring an apron or smock. All art materials will be provided. * Families come in different sizes, ages and configurations. 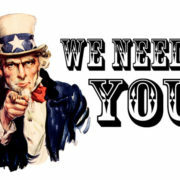 ** We want individuals to join us too, but a child under 15 may not come alone. There is no childcare provided and only one facilitator. No extra charge will be added when there are guest teachers and artists. Pre-registration is recommended so that we can prepare the materials you will be using. Please fill in the form provided below.